The new pan-North American trade agreement has arrived, under it’s new name “U.S.M.C.A” or United States – Mexico – Canada Agreement. We take a look at the headlines from across the spectrum, as well as some interesting op-eds on the subject. “The announced concessions on dairy in the new USMCA deal demonstrates once again that the Canadian government is willing to sacrifice our domestic dairy production when it comes time to make a deal,” said DFC President Pierre Lampron in a statement. Globe and Mail: Politics Briefing: The new trade deal is here. NAFTA is dead. 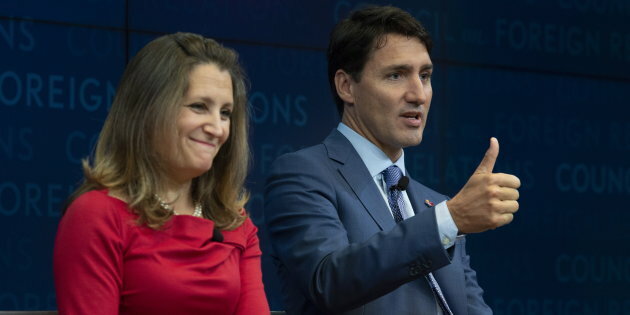 Long live the USMCA. In a statement, Ford Motor said it was “encouraged” by the accord, adding that a three-nation trade zone “will support an integrated, globally competitive automotive business in North America” and help keep and add manufacturing jobs.